In The Sudden Appearance of Hope, Claire North has put yet another spin on themes and ideas that she explored in her previous two novels The First Fifteen Lives of Harry August and Touch (reviewed here) . Identity, belonging, individuality, love and choice. Again, the main character is affected by a high fantasy concept that puts her at odds with the world. In this case, Hope Arden is forgotten by everyone she meets almost as soon as she leaves them. Hope is a more tragic figure than North’s previous protagonists. She has been living on her own and by her wits since she was sixteen and her family forgot her. Unable to make a lasting connection with anyone, existing the eternal now, filling the empty space in her life with knowledge with which she peppers her narrative. In both previous novels there were societies of entities with similar powers, but even when Hope does meet another of her “kind” they keep forgetting each other and eventually drift apart. 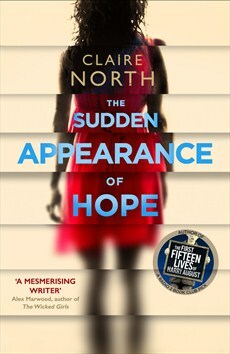 The Sudden Appearance of Hope does not work as well as North’s previous two novels. Many of the themes, revolve around an insidious app called Perfection that encourages people to give up their individuality to create a perfect life. But the plot, involving Hope running foul of Perfection and then joining up with a violent opponent of Perfection, while giving plenty of scope for both plenty of obvious and subtle social commentary, never really coheres. As with Touch, The Sudden Appearance of Hope provides a whirlwind global tour. From Dubai to Istanbul, across Europe, to America and then the UK, North provides a bit of a Lonely Planet tour of the world. And while this is fun, all the colour and movement can not, in the end, distract from the fact that it seems neither Hope nor North can really decide where it is they want to go. This review first appeared in Aurealis #92, Australian Science Fiction and Fantasy Magazine, www.aurealis.com.au.